The draft kicks off four weeks from Thursday, and the frenzy’s been a little slow to build. But let’s do something about that, shall we? Four notes about the draft (not meaning to usurp Robert Klemko’s superb weekly draft column at The MMQB, which is newsy every time), and what I see a month out, will follow. First: This draft doesn’t have quite the buzz of some recent drafts because there aren’t the megastars at the top that there were in 2012 (Andrew Luck, Robert Griffin III) or 2015 (Jameis Winston, Marcus Mariota). Carson Wentz and Jared Goff are each very good quarterback prospects, but they’re not the clear 1-2 picks the others were as those drafts drew near. Which leads me to my first note. 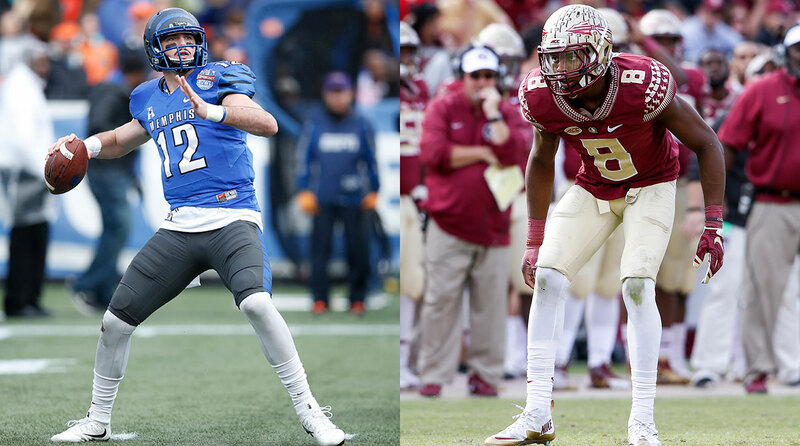 Paxton Lynch and Jalen Ramsey could create some shuffling in the first round. Will some team pay Tennessee 75 cents on the dollar for the first overall pick? Most of the front-office people I talk to are dubious that Tennessee GM Jon Robinson, who is trying to create a market for the top pick in the draft, will be able to get an offer rich enough to tempt him to deal it. After Mississippi tackle Laremy Tunsil’s predictably strong pro day performance in Oxford on Monday, Robinson can feel good about eschewing all offers and sitting there and making the obvious pick—a left tackle to help protect his franchise quarterback for the next decade. To me, there are three big X factors in a trade that could shake up the top of the first round: Paxton Lynch, the Los Angeles Rams and Jalen Ramsey. Explanations follow. • MMQB ROUNDTABLE ON GOFF, KAEP AND CHIP KELLY’S OPTIONS: Plus more on the draft, RG3 in Cleveland and John Harbaugh’s defense of football. Les Snead is the GM most likely to deal, judging by the Rams’ recent history. Snead has been the most active prime-pick trader recently. In his four drafts since taking the Rams’ job, Snead has traded eight times in the top 50 picks of drafts, more than any of his peers since 2012. He’s traded down with the second, sixth, 22nd, 41st, 44th and 45th picks, and traded up with the 16th pick (in 2013, to get Tavon Austin at number eight), and acquired the 43rd pick in this year’s draft, from Philadelphia as part of the Sam Bradford-Nick Foles deal. Imagine averaging two big trades per draft season. That’s what Snead has done. So he won’t be shy if he thinks he wants to jump up to get a quarterback. For all the trades he’s made, Snead has never made a bold move to get a quarterback (unless you consider snagging Foles to be bold; in fact, it’s probably bolder that he traded Bradford than that he acquired Foles). So don’t be surprised if Snead goes for a quarterback, either trading up for Wentz or Goff late in April, or sitting where he is at pick 15 and taking the third QB on most boards, Lynch of Memphis. Paxton Lynch, if he works out well for teams, could tempt a club like the Rams to deal up, or risk staying put, to try to get him. The Rams like Lynch. They won’t know whether they love Lynch until they work him out a couple of weeks down the road. But keep this in mind: The Rams like big quarterbacks with the ability to move, and that’s Lynch. And to trade up for one of the two primo guys, Goff or Wentz, would cost at least the Rams’ first two picks this year and a first-rounder next year. For a man who loves picks the way Snead does, I’d be surprised if he surrendered next year’s one. Then again, he’s never been afraid of making a stunning trade. I would place a lot of stock on the Rams’ private workout of Lynch in mid-April. Lynch’s value could be smack dab where the Rams pick, unless his stock rises with his April 6 pro day at Memphis. It’ll be interesting to see which coaches, if any, on new staffs—like Hue Jackson in Cleveland and Chip Kelly in San Francisco—interrupt the first day of work with their new teams to attend the Lynch workout. Jalen Ramsey has the type of profile that could tempt teams to move way up. Ramsey, the 6-1 cornerback/free safety prospect from Florida State, had an impressive pro day Tuesday in Tallahassee. Ramsey has the wingspan of a 6-4 wideout and, at 6-1, is the kind of big corner or free safety NFL teams are seeking these days. On Tuesday he was predictably smooth and fast, and most NFL people think he can play cornerback, which is where his value is at the top of the draft. Although no one believes (at least now) that the Titans will take him first, cornerback is nearly as big a need as tackle for Tennessee. And even if Robinson wants Tunsil badly, he won't do any harm to smokescreen about Ramsey for the next two or three weeks. So stay tuned. Isn’t what you are suggesting exactly what the Kansas City Chiefs were penalized two draft picks for doing? Are you willing to say they should get their draft picks back (as you have called for the Patriots to receive in previous articles)? I am not suggesting that a team like the Texans violate the rules by talking to a free agent like Osweiler before it is legal to do so. I am suggesting the rules be changed so that it would be legal for Osweiler and the Texans to be able to speak before the team commits $37 million to him. Teams are not forced to sign players sight unseen. 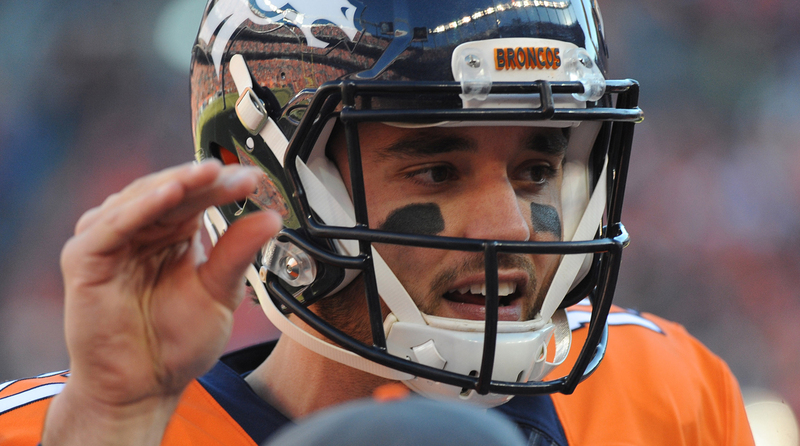 The Texans could have set up a meeting with Osweiler [after free agency officially opened] to insure they were making the right choice before committing big money. They apparently thought they had to beat out the competition and sign him immediately. Creating a “visit window” may help save some teams from their own poor judgment, but should we really have to keep making new rules and changing the system? If teams rush things and sign a player without doing their due diligence, they pay the price if it doesn’t work out, plain and simple. I do agree players should be able to have contact with the team they are under contract with. As for once he’s signed, if a new quarterback has a question about the playbook, he should be able to contact coaches. Can’t think of any reason why he shouldn’t. You have a point, John. There’s a chance, and maybe a good chance, that if Osweiler had waited until the free-agency period opened and then visited the Texans, he still would signed with Houston for the same money, and the Texans people would have had a chance to see what they were buying instead of making the purchase sight-unseen. But my point remains: Why is the system set up this way, where teams can commit millions to players they’re never met or interviewed? What is the problem with setting up a system where there’s a three- or four-day period when players and prospective teams can meet and talk? I’ve read your column for years, and always found you thoughtful and balanced. So I was surprised at how dismissive you were of the New York Times piece on the NFL’s flawed research on concussions. I am an average-intensity football fan, and much of the article was news to me: the picking and choosing of data in a “comprehensive” study is appalling and deceptive. You minimized this and came across as if you are too enmeshed with the league and need to step back and remember that you are a conduit between fans and the league, rather than an insider whose knowledge is greater than most. What’s “nothing new” to you is news to many of your readers. That said, I agree with you that the connection to the tobacco industry was probably taking it too far. Jonathan, you may be right. In fact, most of the reaction to my note was similar to yours. My point was, simply, that we've had multiple long stories and a prescient book (League of Denial) and a Hollywood movie (Concussion) detailing what a bad job the NFL did on the concussion crisis two and three decades ago. These stories focused on the occasional ignorance but often willful NFL malfeasance regarding being late to the story of head trauma and the effects of concussions. The Times story, as I noted, certainly had some important facts that we didn't know. I believe the unreported concussions were worthy of a significant story in the best newspaper in the world. I thought it was overplayed. And the big tobacco stuff, to me, was unproven. But I appreciate your thoughts. I need to hear them. The “point” sounds exactly like the ones made by Big Tobacco in the ’60s, ’70s and early ’80s. Your perspective on the NYT story about the NFL concussion study borders on that of an apologist for the league. I know you love the game and respect many of the folks you have dealt with through the years, but the manner in which the league has handled evidence regarding the damage the game does to brains is more than unsettling. Very rich people have acted in reckless disregard for their employees, in order to protect their wealth. — Bill Martin, Rosemont, Pa.
Bill, you’re telling me it’s wrong to have an open mind about the biggest issue confronting the NFL today. I’m going to respectfully disagree with you. Even Ann McKee, one of the foremost authorities on this subject and the doctor who has examined more brains of deceased NFL players than any other, says we don’t have enough information yet to say that everyone who plays football is likely to get CTE. What’s wrong with letting science work? I am a fairly young man (28) who grew up playing high school football and college rugby. During my time playing contact sports I estimate I sustained between four and six concussions. Some were diagnosed, some were not. At 26 I suffered a viral infection in my balance nerve. For a normal individual the recovery time from this infection is a few weeks to a month. For me, due to my history of concussions, I still have not recovered. I suffer from daily dizziness, brain fog and inability to remember things. Brain trauma does cause long-term effects. It is a lifelong battle that has a real impact on someone’s life. For the NFL to deny the long-term impact of concussions is just plain ignorant. That's alarming, Brent. Best of luck to you. I hope your story is heard by those who matter in this field in the NFL offices. My son, since he was 2 1/2, has wanted to play tackle football. He tried to hit everything and everyone, so we thought we had to put him in because at least he’d be wearing pads and would have coaching and structure. Come age 6, when he was eligible to play, we held off on registering him, as the concussion issue was just too prevalent to ignore. He’s 7 this year and he’s going to play flag. This way he learns the game—how to cover, how to pursue, how to make pre- and post-snap reads, the offensive side of the game (which doesn’t interest him much now) and the discipline necessary to play the game properly, while keeping his delicate brain from getting scrambled, and while the equipment and science of protecting players from head injuries gets better. There is plenty of time for him to transition to tackle (if he and we decide to do so), but he still has the opportunity to play and learn the game he loves and stay safe. Tackle football isn’t the be-all and end-all for youth gridiron. Great point, Kevin. Thanks for making it. First, I think the worries about travel times might be a bit overblown. Los Angeles to London is about 10-11 hours (using the Rams as an example) nonstop. Los Angeles to Beijing? About 12 hours. Not that much longer (and shorter coming back, 10-11 hours, because of the jet stream). As far as Beijing is concerned, plenty of top quality, international chain hotels with great western food (some players might not want to risk digestive issues sampling food from another culture before they play the game). It’s probably better to play a regular season game there vs. a preseason game. August can be quite “hazy,” shall we say? October/November is usually much nicer on average with clearer skies and mild to crisp temperatures. Will I go to the game? If I can snag a ticket or two, you are darn right! Hope to see you in Beijing in 2018! Thanks for writing, Jon. Hope you like the Rams. They’re the team the NFL is eyeing to be the home team that day in 2018. 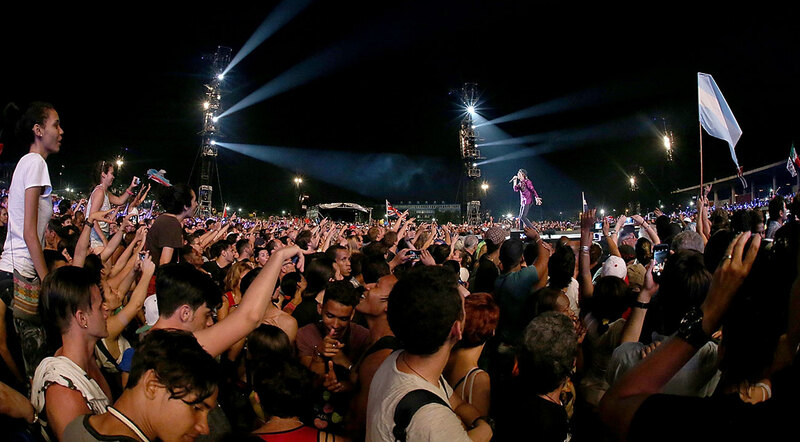 Mick Jagger performing with the Rolling Stones in Havana. I would suggest you use a little situational awareness before you proclaim excitement over the Stones in Cuba. I am a lifelong Stones fan, and even if you told me it was their last concert ever and offered me front-row tickets I would decline them. I live in Miami and I am not a Cuban-American, but I have been exposed to the never-ending stories of human rights atrocities by the very same Cuban government our government is now engaging. Engagement of a dictatorship only works if you get real reforms/benefits for the people in exchange for what you have to offer. Just something to think about before you get excited over “Honky Tonk Woman” being played on an exotic island. Wait for their next show in Puerto Rico for that—you will even have the protections of the U.S. Constitution while visiting there. It wasn’t a political comment I made. If the president is in Cuba trying to normalize relations, why shouldn’t the Stones play there?